Nutfield Priory is a four star country house hotel and spa in Redhill inspired by the Neo-Gothic splendour of the Palace of Westminster. This unique Victorian mansion house in Surrey, which dates back to 1872, delights with its stylish interiors hung with fine paintings, unique artwork and many original features. The hotel has 15 feature bedrooms and for that little extra indulgence, The Byron Suite located in the tower is spread over three floors and makes a wonderful choice for a romantic weekend away. The hotel offers the ideal setting for an intimate break, a romantic wedding venue and, with a wonderfully accessible location, an inspiring conference venue near Redhill, not far from London. 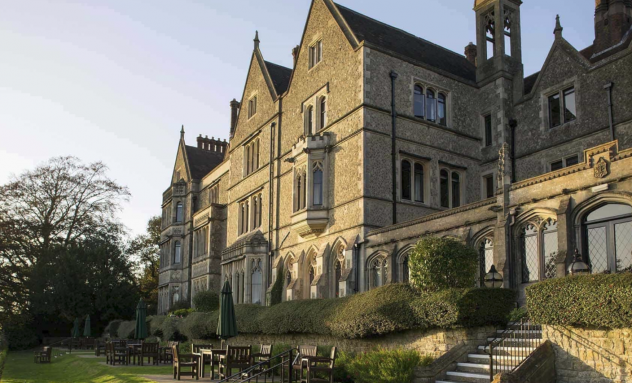 Set alongside the hotel is the Nutfield Priory Health Club and Spa, a great place to workout, relax or unwind. With so many reasons to visit we very much look forward to welcoming you to Nutfield Priory where I know the team will ensure you thoroughly enjoy your stay.